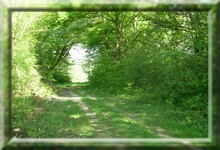 You can depart from the campsite and enjoy some beautiful hiking tracks in the forests of the Oise region. Our green and quiet campsite is situated near the GR 123 that will take you through our beautiful preserved nature. We would like to remind you that the campsite organizes special hiking weekends and holidays through the "Rando-Camp" label. We invite all hikers to stay on our campsite on a few specific dates, to meet up with other hikers and enjoy the surrounding nature together. A nice way to make some new friends. Check our weekends and holidays! 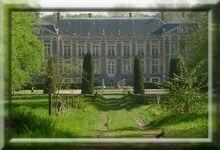 The château de Sorel next to the campsite is really worth a visit. You will enjoy the small wildlife. You will see rabbits and other animals in the open nature. 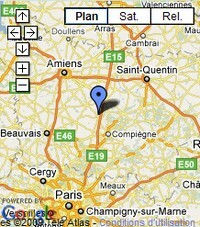 You will find the château de Compiègne at half an hour from the campsite. But also the château de Pierrefonds. 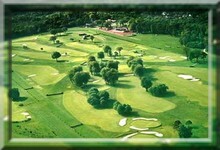 For those who love to play golf, the 18 holes golfcourse of Compiègne is situated at half an hour of the campsite. This golfcourse is on a unique spot in the centre of town and in the middle of the racetrack. Many golf players can only dream about this. 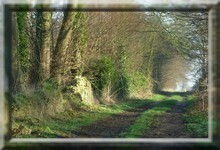 This flat course is ideal and suitable to all weather types. Clubhouse with bridge room. Restaurant. 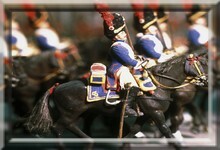 Check out the many museums that are situated at half an hour from the campsite. And let’s not forget the chapels and the memorials. We did not forget you mountain bikers! Beautiful tracks are waiting for you. 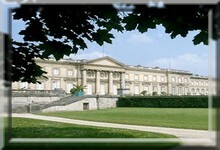 We propose you a dormitory of 12 beds for groups or clubs that wish to use it. You can also use our rental accommodations. list of hiking trails in the Oise. 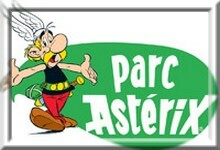 Parc Ast�rix, second most visited attraction park of France, situated near Paris in Plailly (Oise), is organised around the Gallic theme of the well-known comic book. Parc Ast�rix has a good reputation thanks to its water park attractions and over ten various shows. 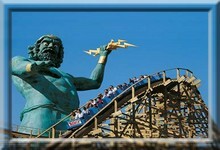 The thrill-seekers choose the loops of the incredible and certainly Goudurix Tonnerre de Zeus, the rollercoaster that shook all visitors. The Dolphinarium dolphin leaping and now represent the most popular show among the ten shows played at Parc Asterix.